How to recognize a translator: translators may only need a menu to have fun. Do you like Translator Fun? On International Translation Day (September 30th) I’d like to wish all my colleagues a wonderful day. This cartoon depicts a common attitude many non-translators have towards our profession. On the other hand, this article by Nataly Kelly published on the Huffington Post highlights the important role translators play in today’s world by listing 10 Ways Translation Shapes Your Life. 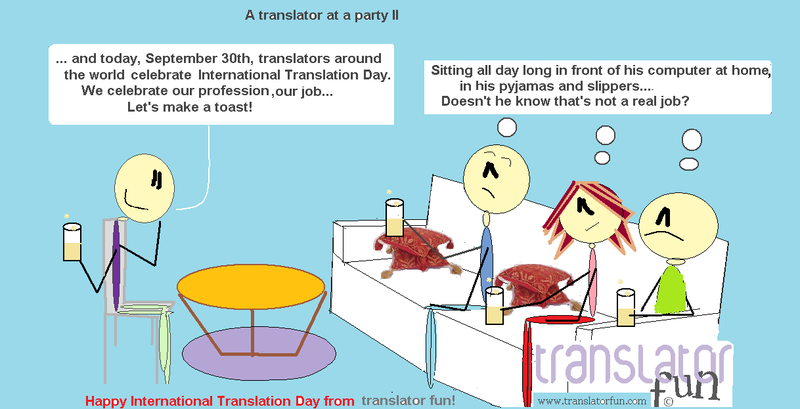 To all my colleagues out there: Happy International Translation Day! 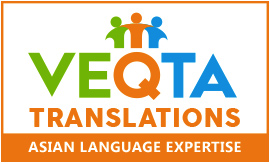 Do you enjoy Translator Fun? Become a sponsor. Are you making the best use of social media for your business? A common perception of social networking sites is that they are good for socializing with friends, family, and strangers, “goofing around”, and not too much else. But social media and social networking sites (such as Twitter, Linkedin, Facebook, etc.) have been growing in popularity and utility for businesses for some time now. Many professionals are viewing these as tools, taking advantage of them, and using them to build their business. Freelance translators are no exception. Some translators still seem reluctant when it comes to using social networks as a marketing tool for their businesses (see these ProZ.com‘s poll results from 2009 and 2010). Some are testing the waters, and others have already become adept at leveraging key networks with good results. Be clear on what you want to achieve for your business overall. Build a user profile that is a snapshot of your skills and of the services you offer (this is what your potential clients and colleagues will see). Keep your professional profile and the activity you engage in with that profile professional. Find out what is out there and invest your energy in the social sites and/or groups that reach your target market or networking needs. And remember, social networks can be your diary, your address book, a daily newspaper, your online ad and more. It is up to you. Note: I originally wrote and posted this article on Translator T. O. blog.